This was something I did wrong. I wore good shoes, but they were several years old. I wore an old pair of Keen hiking shoes that I love, but the tread is completely worn out from all the miles I have put on them over the years. It was also obvious that many people did not wear the appropriate shoes, as there were piles everywhere once we reached Scout Lookout. At this point of the trail, you start scaling the rocks and using the chains to climb the final section of the hike. These rocks can be very slippery, and we saw many people who decided to go barefoot rather than trust their shoes. I wore my shoes, but I did slip multiple times (luckily always when I had a good grip on the chains!). 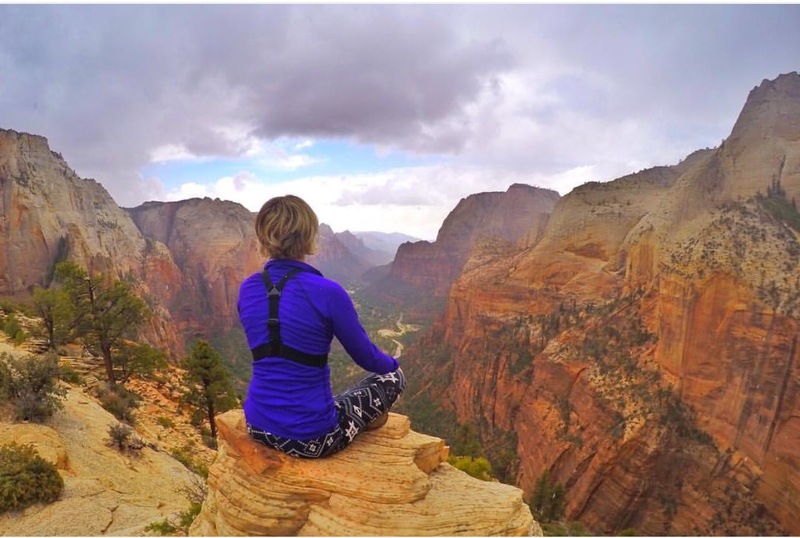 Have you Hiked Angels Landing? Did it change your life? What other hikes are there, like this, that you think I should try?! Please share!